Slice potato lengthwise. 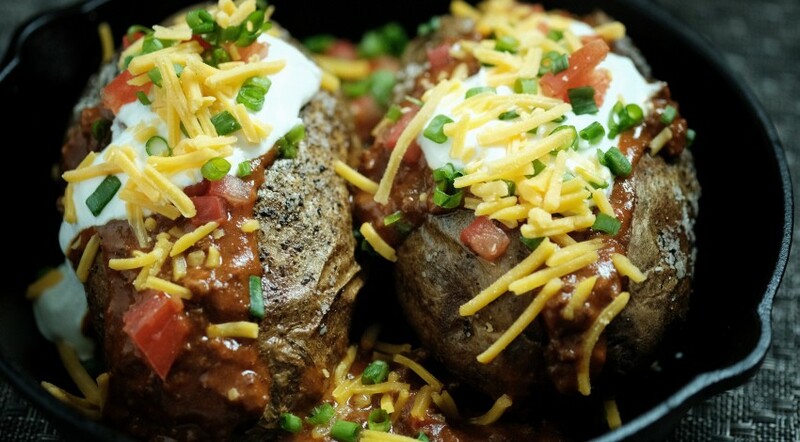 Top potato with 4 oz. 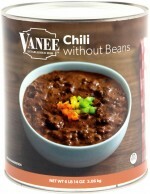 of VANEE CHILI WITHOUT BEANS, 1 oz. cheese, and 1 oz. sour cream. Garnish with green onion.